This was an adorable concept. The gentleman had me start working on this BEFORE proposing, then gave it to his fiance afterwards! 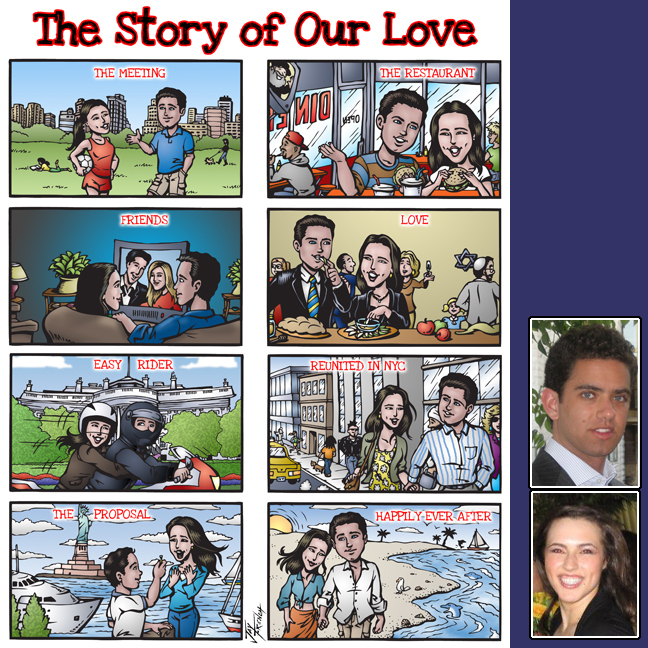 The concept of "The Story of Us" I thought was very sweet. You can see their photo sources to the right!